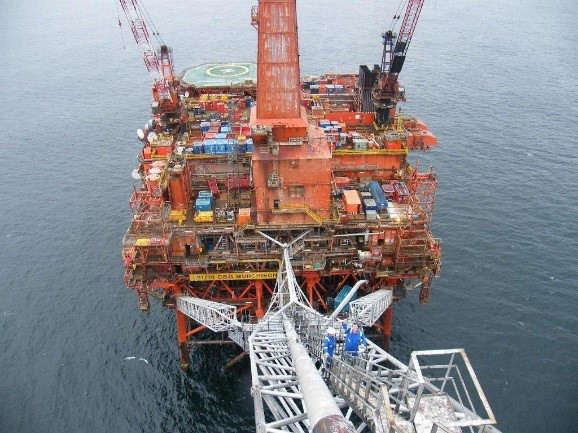 NRC subsidiary, Sureclean, were awarded the Cleaning and Waste Management contract by Aker Solutions during the Engineering-Down phase of Decommissioning CNRI’s Murchison Platform and later were contracted direct to the operator for the final preparation for removal of topsides. From the project commencement Sureclean provided project management services, working within the Client office as part of an integrated Aker Solutions team. From FEED Study phase Sureclean have been consulting on and providing key waste management and cleaning services and will continue to do so until offshore close-out. Scopes then extended to include cold cutting, NORM management & descaling, waste treatment and also atmospheric monitoring to ensure required 10% lower explosive limits (LEL) were not exceeded. 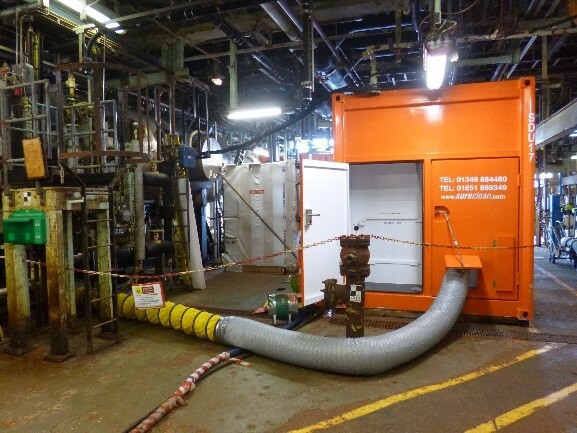 Sureclean provided high-pressure water jetting services in order to meet the Client’s required cleanliness standard, removing the risk of an explosive atmosphere being formed, preventing hydrocarbon or chemical spills to sea and unnecessary exposure to personnel for the remainder of the decommissioning process.